Have you ever thought about going shark diving? 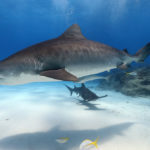 Shark Diving can be one of the most thrilling experiences people have underwater and the Bahamas Shark Diving offers some of the greatest up close encounters with some of the larger shark species. 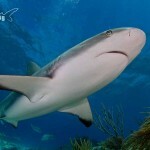 Epic Diving offers dedicated Bahamas shark diving expeditions with a number of key shark species. From the ubiquitous reef shark, the larger-than-life tiger shark, to the ultra rare oceanic whitetip shark and great hammerhead shark, these trips offer nonstop heart-pounding excitement. Our dive boat, M/V Thresher, moves between islands for the best shark diving encounters with the different species during the appropriate seasons. 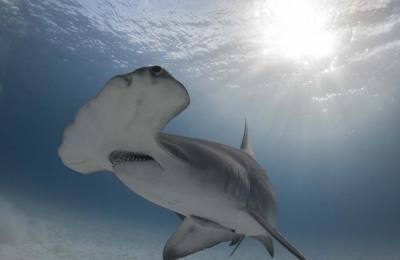 The year starts off in Bimini where divers have the opportunity to dive with the Great Hammerhead shark, a rare and generally shy species. 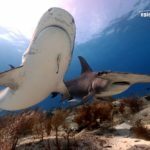 In addition to Bahamas shark diving with the great hammerheads, divers will often encounter bull sharks and nurse sharks, as well as stingray and optional dolphin interactions. 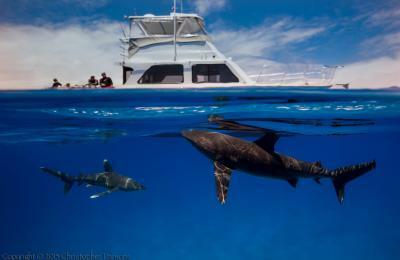 In March, Thresher moves to Cat Island, now world renowned for it’s incredible Oceanic Whitetip Shark diving. While diving with this pelagic shark species, guests will often see silky sharks and dusky sharks, with possible blue marlin encounters. Drifting in the deep blue water always offers surprises, such as blue sharks, mobula rays, tiger sharks and great hammerheads. During the summer months, we return to Bimini for our Wild Dolphin Expeditions where guests will encounter Atlantic Spotted and Bottlenose Dolphin. 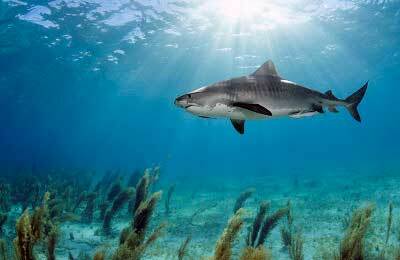 Epic Diving spends the remainder of the year on the West End of Grand Bahama Island at the world famous Tiger Beach. Diving with tiger sharks, reef sharks, and lemon sharks are the norm, with chances to see great hammerhead sharks and bull sharks. All of our shark diving is done in clear, warm water, with depths ranging from 20 feet up to 50 – 60 feet on some of the deeper reefs. We generally expect good visibility on our shark diving expeditions and the water temperatures range from 76 degrees F to 82 degrees F. So contact Epic Diving today, plan your next shark diving trip, pack your gear and join us for some amazing underwater encounters.